season, in a sequel to the original series, Wentworth Miller and Dominic Purcell reprise their roles as Michael and Lincoln Burrows respectively, with Paul Scheuring back in the saddle as director. The story picks up years after the series finale, where Michael ostensibly sacrificed his own life, allowing Sara Tancredi (Sarah Wayne Callies) to escape. Fox CEO Dana Walden has promised ai?? ?a believable explanation to why the characters are aliveai???. Michael and Sarah speak of how all of it feels like yesterday. Can you talk about where Sara is? Last we saw her, sheai??i? ?d lost Michael, and she had a baby. Whereai??i? ?s she at, when this series opens? Sarah Wayne Callies: The short version of the last seven years of her life is that she went down a dark hole of grieving. Itai??i? ?s probably a hole she wouldnai??i? ?t have come out of, except, she had a son. At a certain point, she realised her grief was a luxury her son couldnai??i? ?t afford. So she pulls herself together and decides to raise the sh*t out of him. A part of that included trying to give him a stable home. So she remarries. But itai??i? ?s not like this is the love of her life. Itai??i? ?s comfortable and friendly, and heai??i? ?s a wonderful guy. Everythingai??i? ?s okay. And then, because itai??i? ?s Prison Break, it isnai??i??t. Whatai??i? ?s the dynamic like between Sara and Lincoln, now that seven years have passed? living in Panama, off the radar. I imagine that he was really the one who helped her with her son, and yet, eventually, he went off on his own. Lincoln seems allergic to happiness sometimes. So he found a way of getting back into trouble. But thereai??i? ?s a lot of love and trust between the two, partly because there arenai??i? ?t that many people alive who know the story. So how does it feel to be Michael Scofield again? 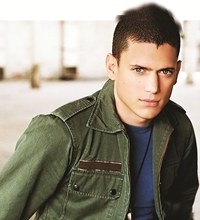 Wentworth Miller: A bit like riding a bike. I didnai??i? ?t have any time before the start of production to go back and watch all 81 episodes of the series, so I just had to trust that Michael was in me somewhere, and turns out, he was. What was it like, the first day on the set, when you were together again? as it has all these years. Narratively, does it capture that same tone in the series, or is this something you see standing alone, as itai??i? ?s a limited series? WM: I think it can stand alone, in the sense that you can potentially appreciate it without having seen the original. But itai??i? ?s meant to feel like a continuation. Itai??i? ?s the same in terms of themes of brotherhood, and sacrifice, and family, loyalty, all the stuff the fans appreciated. Itai??i? ?s also meant to feel present-day, like the action could be happening out there in the world right now. Do you feel like itai??i? ?s a current show? WM: I do. I meet fans every day who are watching the show right now (on Netflix). For them, itai??i? ?s present tense. Itai??i? ?s like, itai??i? ?s still airing. What do you think made Prison Break so timeless? WM: There are any number of answers. Universal themes that people vibe with, no matter what the language or culture. Thereai??i? ?s the government conspiracy hook. And the prison hook. The show mastered that ai?? ?hook in the mouth, stay tuned, see what happens next weekai??i?? tease element. Fans are not going to be able to download all nine episodes and watch them at once. They have to wait week to week, and that might require a degree of patience. Prison Break Season 1 ai??i?? 3 airs on Star World and Star World HD Monday to Friday, 8 pm. Season 5 is expected to premiere later this April.